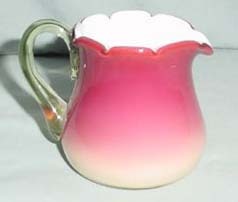 Peachblow, or "Peach Blow", glassware first became popular in the latter part of the 19th century, and many manufacturers moved quickly to meet the public demand, some say created by an auction in the late 1800s of an ancient Chinese vase with the unusual color typified by peachblow glass. Production of peachblow glassware can be categorized into three groupings. "Wheeling" peachblow was originally called "coral" and is the earliest interpretation of peachblow, made by Hobbs, Brockunier of Wheeling, West Virginia. Wheeling peachblow shades from a deep red at the top to a golden yellow toward the bottom, and it was produced with both matte and gloss finishes. Wheeling peachblow is distinctive by its interior lining which is a cream white. The name "Coral" quickly gave way to "peachblow" as the term adopted by the public and by trade reviews. "Mount Washington" peachblow shades from a rose pink at the top to a blue gray color toward the bottom. Like Wheeling peachblow, Mt. Washington peachblow was produced from about 1886 until 1888 in both matte and gloss finishes and was originally called "Peach Blow" or "Peach Skin". Unlike Wheeling peachblow, Mt. Washington peachblow was not lined. Due to the very limited production, Mt. Washington peachblow is the rarest of the three distinct types of peachblow glassware. "New England" peachblow shades from rose pink at the top to a white toward the bottom, and like Mt. Washington work it is not lined. 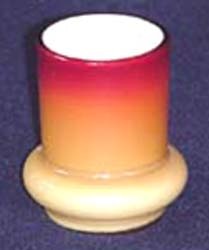 Most New England peachblow was produced with a matte finish although it was also produced in a gloss line. New England peachblow was originally called "Wild Rose," but like the other variations the name eventually gave way to the more generic peachblow branding. Public demand for this glassware also led to the production of souvenir interpretations for major public events like the 1893 Worlds Fair. While true peachblow production ceased around the turn of the century, it was also produced by Gunderson in the 1950s. While technically Gunderson peachblow may be considered a reproduction, it is actively collected in its own right. The Gunderson company descended from the Mt. Washington Glass Company, but its work more closely resembles New England peachblow with the only variation being at the bottom where Gunderson produced more of a white color versus blue/gray. The colors are also slightly darker than earlier peachblow. In England, Thomas Webb & Sons produced an english peachblow reminiscent of the Hobbs Brockunier production, lined on the inside and shading from a deep red to a lighter yellow. Webb peachblow is also referred to as "Peach Bloom" and has more reddish hues than the Hobbs version which is more orange by comparison. Don't confuse period peachblow with Burmese glass which shades from rose pink at the top to a golden yellow at the bottom. Burmese glass is unlined and opaque, and the colors are the same regardless of the manufacturer. It is said that it got its name from Queen Victoria of England who remarked that it reminded her of a Burmese sunset. Burmese glass was produced by many manufacturers over the years including Webb, Mt. Washington, Gunderson, and Fenton. To identify period peachblow and the three major variations, pay close attention to the shading of colors from top to bottom and whether the piece is lined or not. Pink satin glass is sometimes mistakenly referred to as peachblow as well. Peachblow has been actively reproduced over the years, especially by Italian glassmakers. It is generally distinguishable by a band of purple between the pink and blue shadings which is inconsistent with period pieces. It also helps to be familiar with the shapes produced in the late 1800s to distinguish a period piece. Period Victorian peachblow is quite valuable, so it pays to be aware of reproductions while at the same time knowing how to identify period pieces. Learn the color shadings and lining characteristics as a good start toward getting a great piece of Victorian glass at the right price. 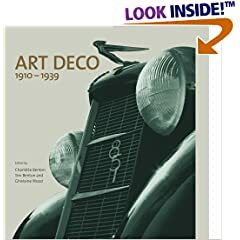 Buy period peachblow and other finer art glass on the Collectics Fine Antiques and Glass & Crystal pages, or search the entire site for great antiques, collectibles, and crafts for every collector!